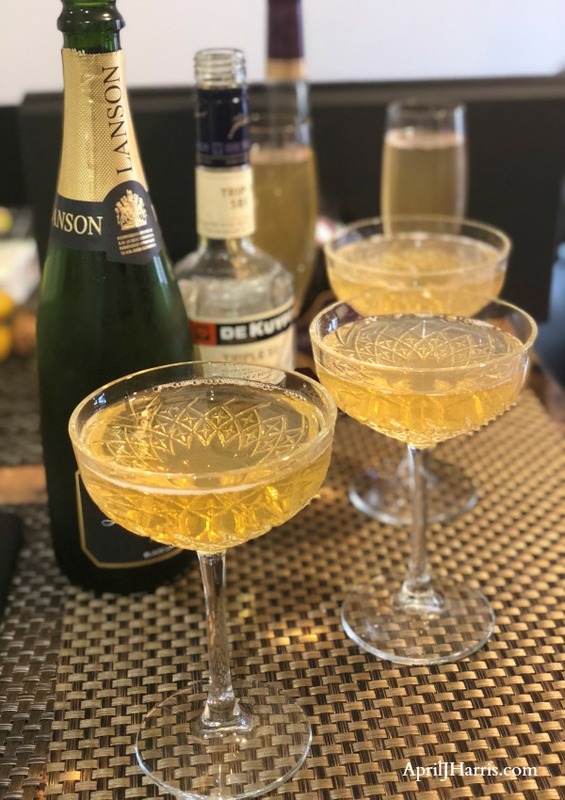 My husband’s 3 ingredient Vintage Champagne Cocktail is perfect for entertaining all year round, but especially on New Year’s Eve. With lots of bubbles to keep things festive, the warm kick of brandy and a hint of citrus, it is sure to delight your guests. 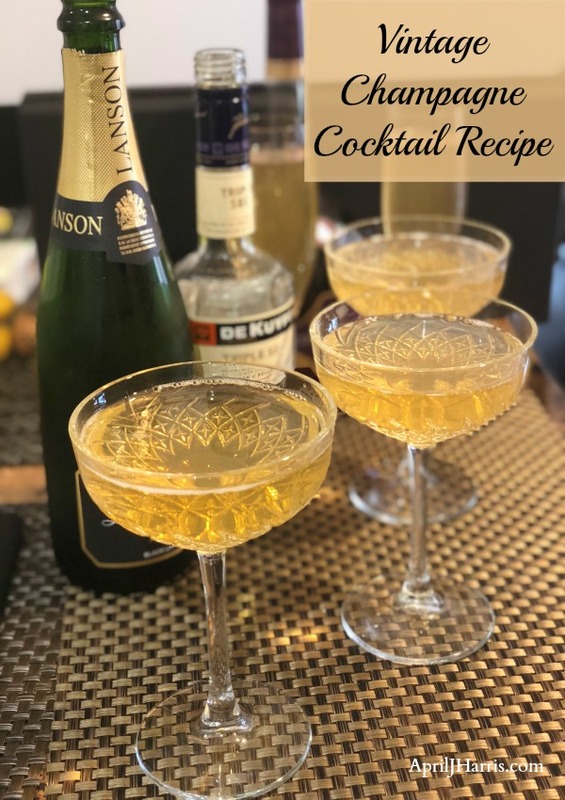 This Vintage Champagne Cocktail takes just minutes to make and has only 3 ingredients – champagne, brandy, and orange liqueur (Grand Mariner, Triple Sec or Cointreau). When we’ve been on a tight budget, we have used Prosecco instead of champagne and it works very well. 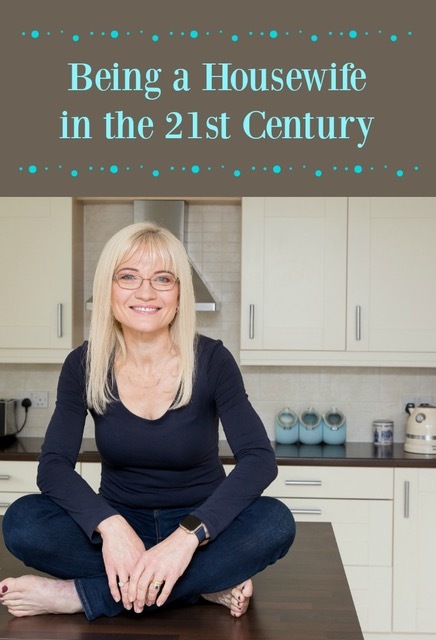 The champagne does make it extra special, but let’s face it, we all have years when we need a more frugal option. Looking for some delicious appetizer recipes to serve with your cocktails? What’s Special About Our Vintage Champagne Cocktail Recipe? There are lots of champagne cocktail recipes out there, but my husband’s Champagne Cocktail is my favourite because of the wonderful balance of flavours. Personally, I find that champagne cocktails that contain a sugar cube or bitters can sometimes be either a little too sweet or tart, respectively. In my husband’s 3 Ingredient Vintage Champagne Cocktail, the warmth of the brandy perfectly balances the sweet citrus. And let’s face it, you can never go wrong with bubbles. A word of warning – this Vintage Champagne Cocktail has got a powerful alcoholic kick. It’s definitely a drink for sipping, and I never have more than one. If I fancy a bit more, I go on to straight champagne. My husband has been making this recipe for over 30 years, and it’s definitely a real part of our shared memories. I hope you will enjoy it as much as we do. Whatever you are celebrating – Cheers! You need 4 champagne glasses. My husband prefers to use champagne coupes, although champagne flutes work well too. Pour ¾ ounce of brandy into the bottom of each glass. Pour an ounce of Triple Sec or Cointreau into each glass over the brandy. Do not stir. Please note, unless your glasses are very large, there will be leftover champagne, but I have never seen this as a problem! Thanks to you and your husband, I can’t wait to give this a try. Thanks April! Saved for next New Years Eve! April, this sounds even better than the usual Champagne cocktail! Can’t wait to try it. And I’ll always think of you two when I have it! Thank you so much, Jean! What a lovely thing to say. Do let me know what you think of it! Hello April and Happy New Year. This cocktail sounds perfect for the holidays and any party. Thanks for sharing at C&C with J&J. I love vintage cocktails, and this sounds delightful. Thanks for the recipe! This looks like a wonderful celebratory cocktail to have all year round! Happy New Year! Thank you, Pat! We definitely enjoy it all year round 🙂 Happy New Year!